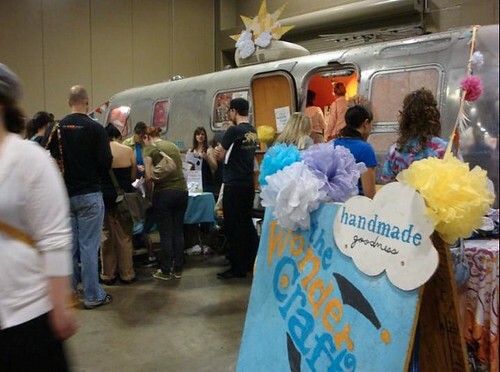 The Renegade Craft Fair is coming to Austin this weekend and I can hardly wait! Last year was the show’s first visit to Austin and it was such a hit they are coming back for round two (and a Christmas show this fall). I don’t have a booth this year since I am doing the baby thing, but that does not mean I won’t be there getting my shop on! The Renegade Craft Fair is one of the most well known and well respected craft shows in the country (heck they have a UK show now too). I was super excited to get a chance to chat with Sue Daly one of the shows founding producers about the ins and outs. 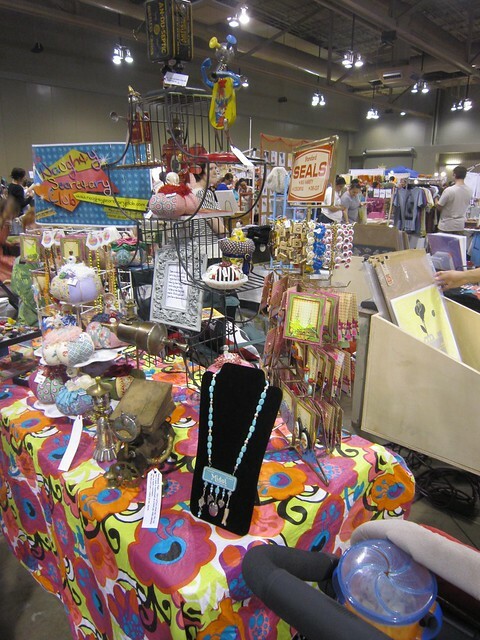 Ever wonder about the intricacies of running a craft show? How do they choose the vendors? How did Austin get chosen as a location over Dallas or Houston? What is the best way for a craft show vendor to help promote themselves and the event? All these answers and more! I first started the Renegade Craft Fair in 2003 as a one time event I wanted to do just for the heck of it, just for fun. I was making jewelry at the time, and started selling some things online at cutxpaste.com . 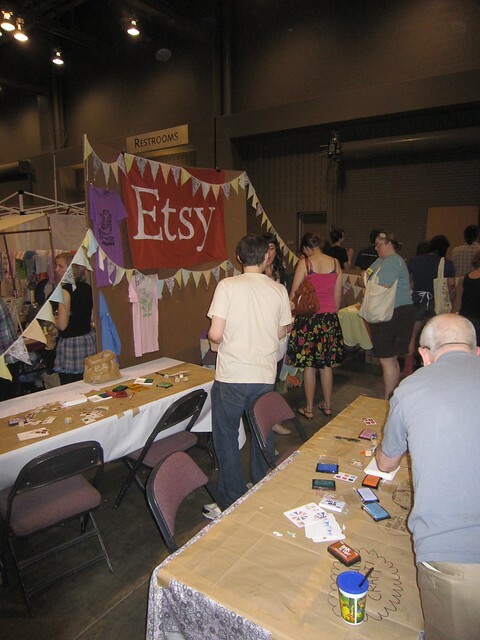 I knew a lot of contemporary crafters out there like myself were selling their work online, but I didn’t know of any cool markets where you could set-up shop for a weekend and sell your work that way. All I could find were fine art fairs or country craft fairs, which I didn’t feel was a good fit for me. So, in true DIY fashion, I decided to start the Renegade Craft Fair so that there would be a fresh venue for people like us to get out there and be seen! 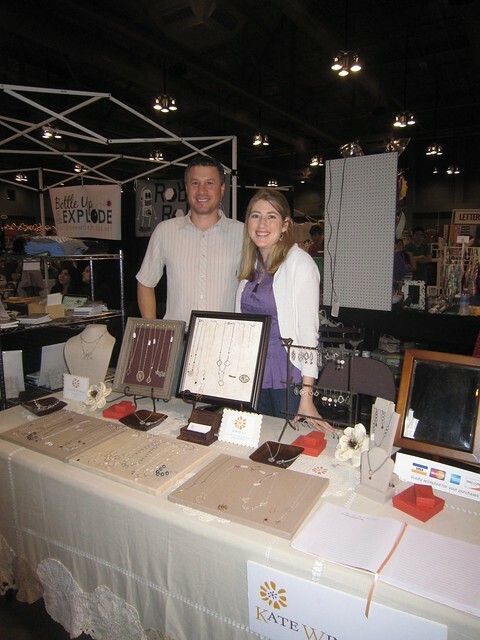 The Renegade Craft Fair started in Chicago, now you are in several cities across the US. When and how did you decide to expand? What was your second city and how tricky was it to coordinate an event the size of The Renegade Craft Fair on new turf? I decided to expand to Brooklyn in 2004, when I was visiting there on vacation with a friend of mine. We were walking past McCarren Park just by chance, and it reminded me of Wicker Park in Chicago where Renegade got its start. That’s what gave me the initial spark to expand the fair, and so I just started working on figuring out what it would take to organize an event in another city from Chicago. It all seemed pretty feasible, and I was able to do most of the coordinating online through the website and email. And so we got to work, and in 2005 we held our first successful event there in the park! From there I got the itch to expand to other cities I loved to travel to and visit. San Francisco was next on my list, and so I made a couple of trips to scope out venues, and found a former naval pier on the bay in a beautiful setting with views of Golden Gate Bridge and Alcatraz. I was really inspired to hold the fair there – So, I got to planning, and in 2008 we had our first west coast fair. Los Angeles seemed like the next logical step, since it’s such a huge city with a lot of DIY enthusiasts and makers looking to sell their wares. So, the following year in 2009 we expanded to LA. The idea to expand to Austin came by suggestion from several crafters living there, who were really enthusiastic about it being a great city to hold Renegade. It’s well known that many Austinites pioneered the way for the craft movement to be where it is today, and it’s such a DIY hub within the scene. So, it made perfect sense to make it a stop on our “tour” – and boy are we glad we did! The largest leap I’ve taken in expanding Renegade will happen this October, when we take Renegade to London, UK. I always dreamed of having a fair there, even from the very early stages of doing RCF. It’s such a great city, there is a whole slew of crafters there, and markets are already so engrained into their culture. I was just there figuring out the last bit of logistical planning, and I’m excited to see how it will go! There are several people on the “about” page for Renegade. Is running the Renegade Craft Fair all of your full time jobs? Who does what? Renegade has become its own little cottage industry, where we organize the craft fairs (10 this year) and some of us also work managing Renegade Handmade. There are six of us who work on the craft fairs – myself and two other people work full-time just on the fairs, and one part-timer. Then, two other gals who work double time on the fairs and the store. We all jury and curate each fair, and travel to the events to run the show. I am the Co-Founder & Director of both companies, overseeing the big picture and implementing new ideas to make Renegade as awesome as it can be. I work closely with “the gang” to produce all of the fairs, as well as research new cities/venues to expand to. Mat Daly works with me on Sponsorship Coordination. He also makes all of our beautiful handmade silkscreened posters for each event, all featuring a unique owl (Renegade’s Mascot). Sara Wright is the Director of Vendor Relations, and corresponds with everyone and their mother about their event participation. 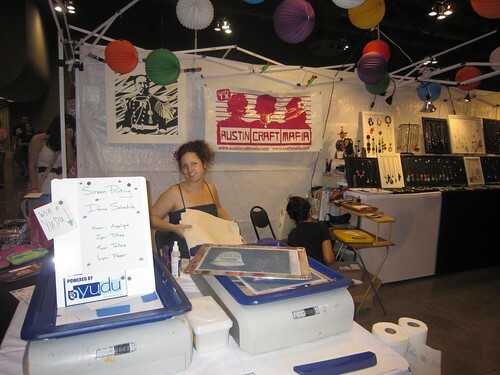 She’s the go to person for all of our artists and workshop participants – over 2,500 people per year! Justin Rathell is our Production Coordinator and handles the behind-the-scenes logistics, including everything from wrangling event supplies, to wresting generators, to coordinating food and DJs, trouble-shooting at the events and more. Madelon Juliano is our Curatorial Associate for the fair, and the Store Manager of Renegade Handmade. For the fair side of things, she executes plans for our Info Booth, RCF Workshop, Raffles – in addition to finding new artists to carry in our store. Sarah Spies Manages our Online Store – and is our Media & Marketing Liason, working to get the word out about our upcoming events in each city. She is also currently in training to become my right-hand lady in the coming year. Tell me a wee little bit about Renegade Handmade. Since I am an Austinite I have to ask how your experience in Texas has been? We are super excited to have you here! We are super excited to be there! Austin is great because it has a small town feel, with all the cultural bustle of a large city. There’s so much going on there in the way of music, food, art, craft – and it’s so laid back and friendly. It’s a very pretty city too – we love to go swimming at Barton Springs while we’re there. Oh, and you have the best BBQ – yum!! Any cities that Renegade is looking to expand to? How do you choose a new city and decide it is in dire need of the Renegade Craft Fair? I get inspired by a city either because I’ve been there before or have the desire to travel there. So, I will research it some and if I feel like it is a promising place for a fair, I will go and visit to check it all out with the fair in mind. I like urban settings, and I think holding the fairs in big cities offer people a more comprehensive snapshot of what our movement looks like in a marketplace setting. 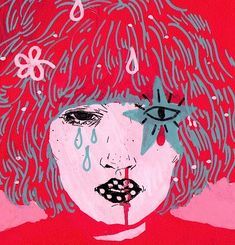 Cities are easier for more artists and attendees to go to, and they obviously have more people who will come to the event to shop and make it a success for the artists. As far as expanding to new cities, right now we are just soaking it all in having added two new events this year (London and Austin Holiday!). I have some cities in mind, maybe another city abroad. But right now we’re just focused on this year, and I want to be sure we can handle more fairs before diving in. 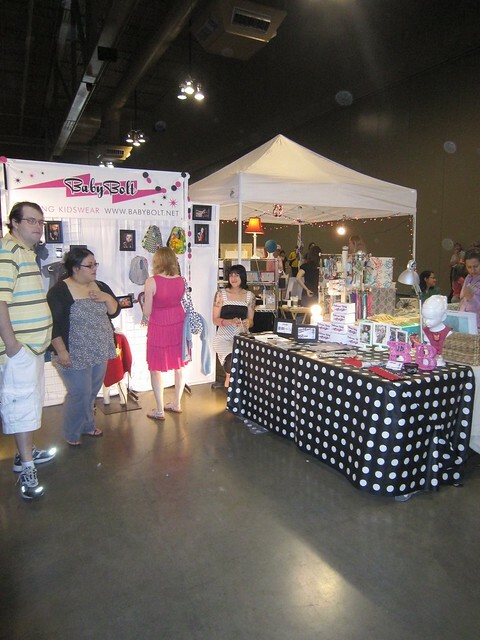 I have an article on my blog about promoting yourself at a craft bazaar. What are some suggestions you have that vendors can do to help not only promote the event but also themselves? I think if artists approach the packaging, branding and marketing of their crafty business as creatively and thoughtfully as they approach their craft, it will make all the difference in how successful their venture will be. Designing a logo, business card, website and branding aesthetic in general that is appealing and compliments your work is key. Same goes for setting-up a booth display at a craft fair. 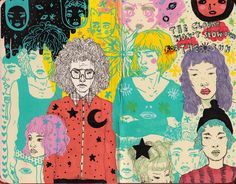 You want the whole package to look cohesive and striking to people as they’re browsing. That’s what will draw in their attention, and make people remember you after the fact. Think of your booth as your own little storefront, and make it stand out. Get the word out about your social network outlets and your online presence so shoppers can come back to your work long after the event is over. If you have a little card or sticker or something they can take home with them to refer to later, you may just make a customer for life! How do you guys choose who will be vending at each Renegade Craft Fair? I know it can be so difficult to choose between all the amazing designers. We typically receive twice as many artist applications than we can accept for each fair, so it can be a daunting task to wade through all of the applications and make our decisions. We have a process that seems to work really well for us. We each grade each application individually, and accept the artists who have the majority votes. Then, we usually have a selection of artists who were on the cusp and had split grades across the board. So for those applicants, we will go through them all as a group one by one and hash it out to make the final cut. 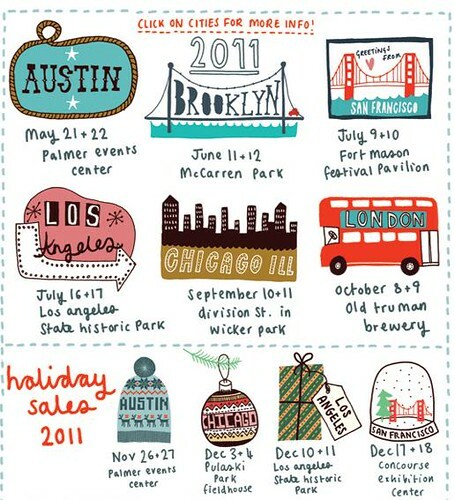 Do you have certain cities that you tend to select certain types of crafts for? More jewelry for Chicago, printers for Brooklyn or soap makers in San Francisco? Our focus is to just have the best of the best at our fairs, so we rarely pinpoint things in that way. 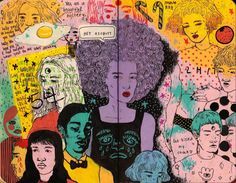 We do that in certain instances though – like when it comes down to two borderline applicants and we have to chose one over the other, we will choose the artist who has something more distinct than what we’ve already juried into that specific fair. Which fair had the biggest turn out ever? Was there some piece of press or just awesome luck that lead to the massive turn out? Our Chicago events have the biggest turnout, probably for a couple of different reasons. One, is that it’s our hometown city and the fair has been happening there the longest (since 2003). It seems like year after year the fairs seem to get busier and busier. That fair also is held in the heart of Wicker Park – which is one of the busiest shopping/eating/drinking neighborhoods in the city. It would be like shutting down South Congress for the weekend in Austin, and setting-up shop! Because of that, it’s so visible that it doesn’t become just a destination event at that point. We get all sorts of passer-bys and looky-loos strolling through the fair and hanging out. We probably get at least 75,000 people to that event throughout the weekend! 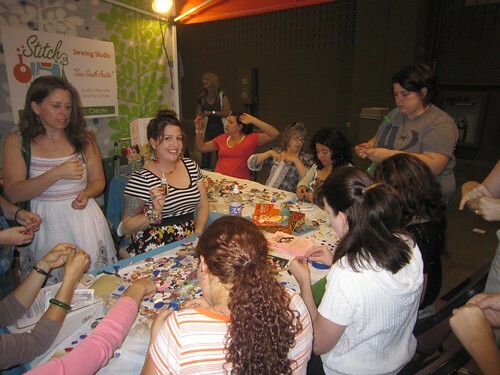 How do you choose the “special features” portion of each Renegade Craft Fair? We are always on the lookout for cool features to add to the fairs. We receive a lot of emails from interested groups, non-profits, sponsors, museums, arts organizations and the like who want to do interactive workshops at the fairs – and we highly encourage that kind of thing. We also research things ourselves, and sit down and brainstorm people who we could get involved to add something special to the fair and engage people. It works the same for food + drink vendors, dj’s, roving performers, and other entertainment features. We like to have fun with it! Wowsers Sue thanks for such a fun and informative interview! 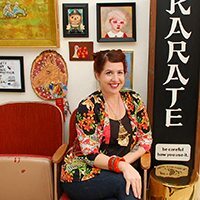 If you could ask one of the producers of your fave craft show a question, what would it be? I’m writing an article about craft shows and am curious. 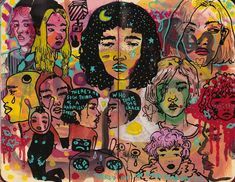 Also check out the Renegade Handmade blog for lot’s of features on some of the vendors you will find at this weekend’s Austin show. Plus some tips for what to do and where to eat in Austin. You can always check out our articles on Austin as well. 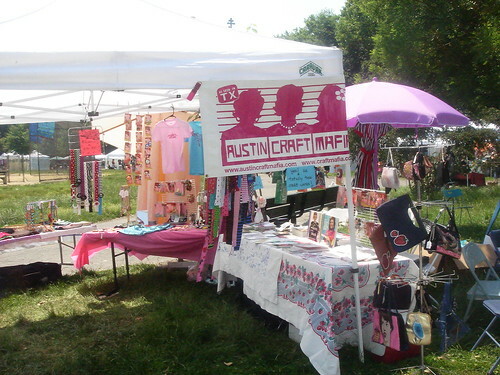 Plus wanna see my round-up about the Austin Renegade Craft Show from last year? What about all the loot I scored! Posted May 19, 2011 & filed under Austin, I Love to Create, Interviews. Awesome awesome awesome! Can't wait to go tomorrow!